02 Aug, 2017 by	Margaret M.
Just this morning, President Trump is changing the way that legal immigrants get into the country. He was elected because of his promises to fix immigration, American jobs and The Wall, and now he’s letting us know exactly what his plan is for addressing the millions of people who want to become American. 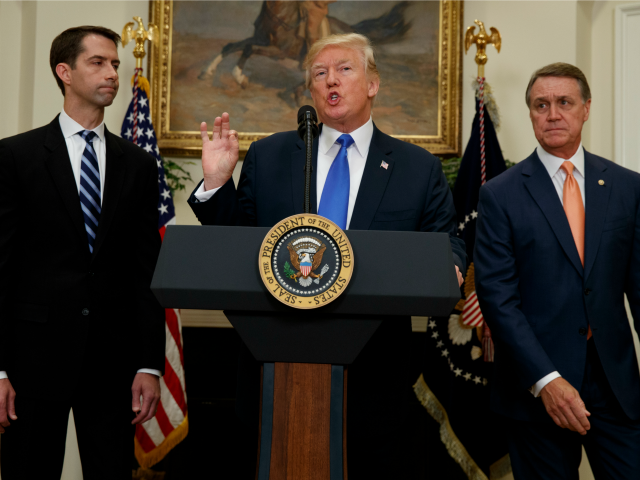 The RAISE Act is being sponsored by two Republican Senators and overhauls immigration toward a merit-based system instead of one that brings in the family members of new Americans. This is a true America First policy and in the next few days we will see foreign journalists howl that Americans don’t have the right to reject so many people or to limit the number of new people they allow in. …has placed substantial pressure on American workers, taxpayers and community resources, and among those hit the hardest … are minority workers competing for jobs against brand new arrivals. It has not been fair to our people, to our citizens, to our workers … [this RAISE act] will give Americans a pay raise by reducing immigration… [and] it will restore the sacred bonds of trust between America and its citizens. According to Breitbart, polls continue to show lots of support for cutting the number of immigrants which includes blue-collar and white-collar workers. Right now, the number of immigrants entering America legally is around 4 million people every year. Bringing 4 million foreigners in every year to the workforce (which includes about 150 million citizens) is especially difficult for the 4 million young Americans looking to enter into the job market for the first time. The RAISE Act will introduce a new skills-based point system that prefers applicants who have lots of education, can speak English, have a record of “extraordinary achievement” and already have offers for high paying jobs. It will get rid of the current system which allows people to bring in their elderly parents or adult siblings, but will continue to allow immigrants to bring in their minor children and spouses.